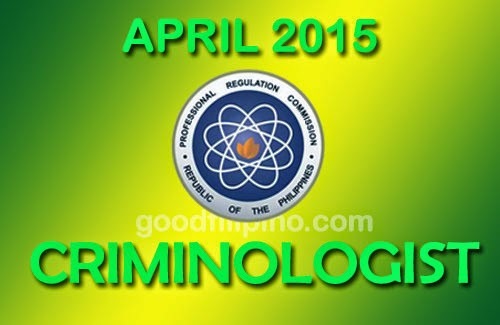 The roll of successful examinees for April 2015 Criminologist board exam results are now available to view on this page. Please take some moment on finding your name on the given list of passers by Board of Criminology in the cities of Manila, Baguio, Cagayan de Oro,Cebu, Davao, Iloilo, Legazpi, Lucena, Tacloban, Tuguegarao and Zamboanga this April 2015. Comments or suggestions about "Criminologist List of Passers (April 2015) U – V – W - Y - Z" is important to us, you may share it by using the comment box below.